5 N, 9 W, Bloomfield. Map of Sonoma County California. 1 : 205920 Thompson, Thos. 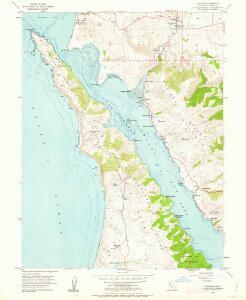 H.
San Francisco Bay showing San Andreas Rift.